What little girl hasn't dreamed of being a Disney princess? 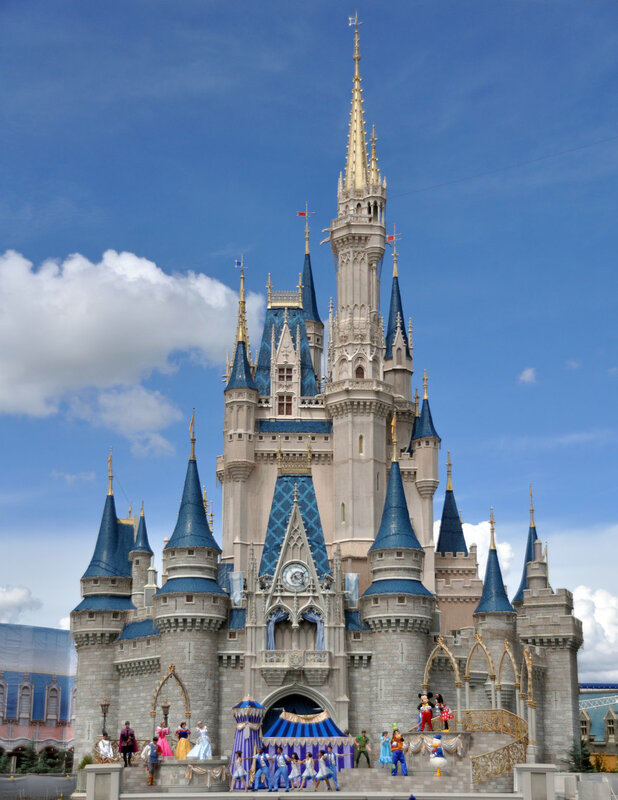 As a young girl I visited Disneyland and later Disneyworld, the first glimpse you get as you enter either park is of the castle. Do you know where the inspiration for those came from? 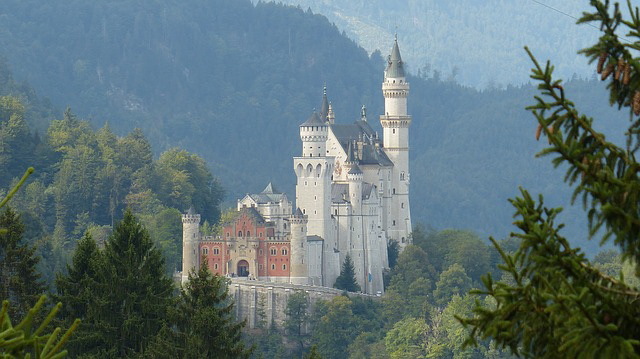 Let's journey to Bavaria Germany, the home of this fairytale castle. 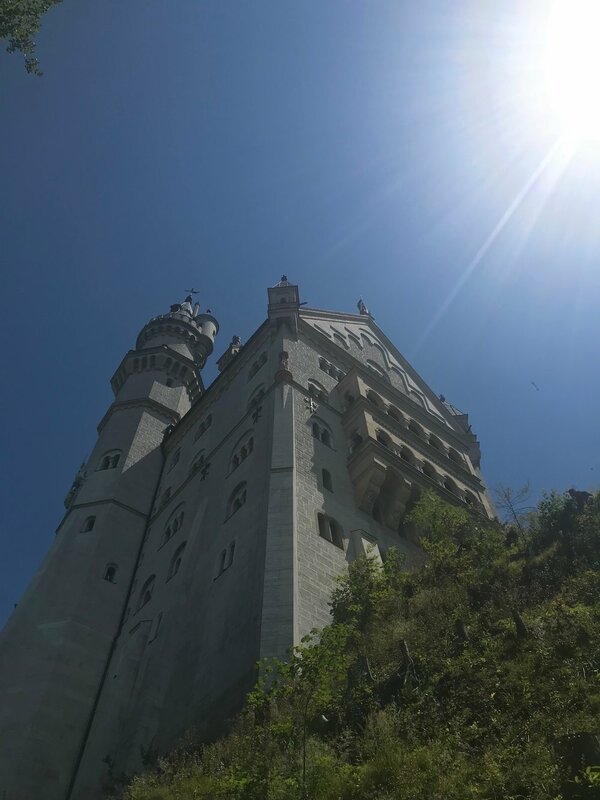 While visiting Starnberg, Germany recently I was able to take a day trip to Schloss (castle) Neuschwanstein. It truly is a fariytale come true! I imagine that is why Walt Disney used elements of it as the inspiration for the castle in Sleeping Beauty and later in Disneyland and Disneyworld. Neuschwanstein Castle is one of the most popular tourist destinations in Europe and one of the most visited castles in Germany. Let me show you why. 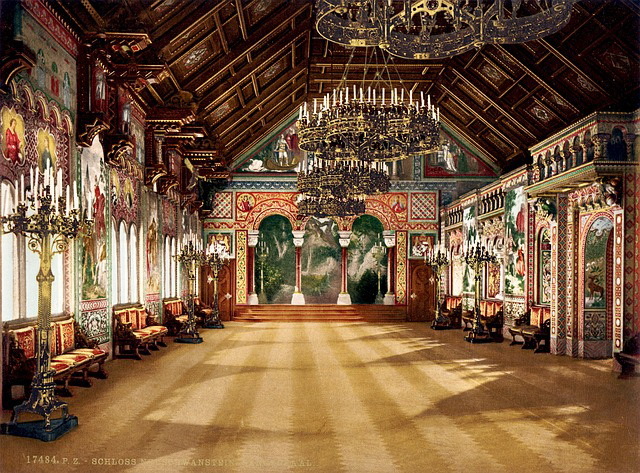 King Ludwig II had the castle built beginning in 1869. Sadly, he died in 1886, before the castle was finished, so he didn't really get to ever enjoy it. He only spent 11 nights there before his untimely death. It is rumored that he was gay and he was also declared insane shortly before his mysterious death. Ludwig was a fan of Richard Wagner, a very famous composer. The literal translation of Neuschwanstein is "New Swan Stone" and it references one of Wagner's characters, the Swan Knight. 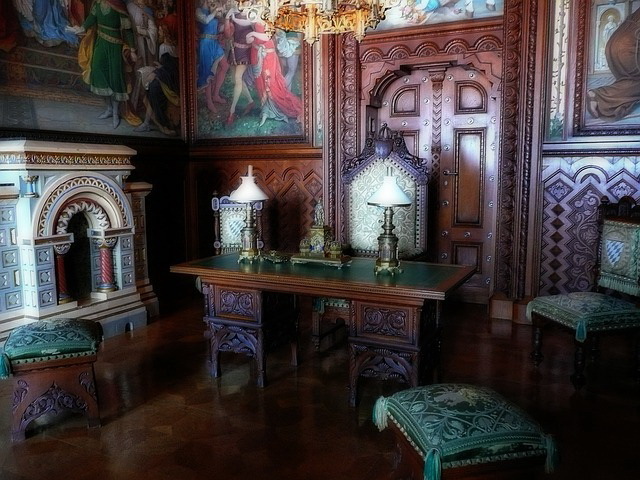 Many rooms in the castle's interior are inspired by Wagner's characters. Only 14 of the 200 interior rooms were ever completed. Those rooms are majestically decorated. Neuschwanstein is built with the look of a medieval castle, but it actually had state of the art technology for the time period. There were toilets that flushed and a central heating system. Despite its foreboding perch atop a cliff, the castle served no defensive purposes. Unfortunately I was unable to tour the inside of the castle on my visit. Summer is the busiest time of year and tours sell out quickly. If you visit in the summer make sure to secure tickets well in advance if you want to see the interior. Your travel advisor will be able to assist you in securing tickets. Photos are not allowed inside the castle so the ones I have are from this website about the castle. The woodwork in the bedroom took four carpenters over 4 years to make. 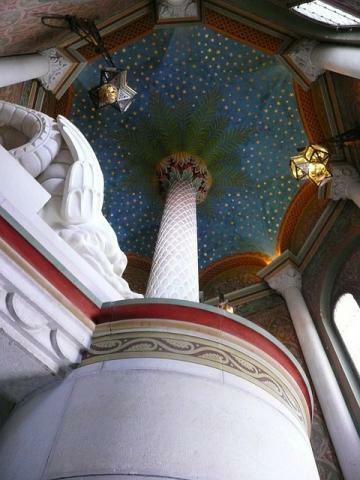 Ironically, there is no throne in the throne room as construction was not completed before King Ludwig's death. Neuschwanstein Castle is one of the most photographed buildings in the world and I can see why. I was mesmerized by it from the moment it came into view. There are several different angles to take photos and I highly recommend seeing it from as many as possible. We drove from Starnberg which is southwest of Munich. It took us about an hour and 45 minutes to get to the castle. We stopped along the roadside when the castle came into view. I took several photos. At the base of the hill up to the castle you can get another vantage point. 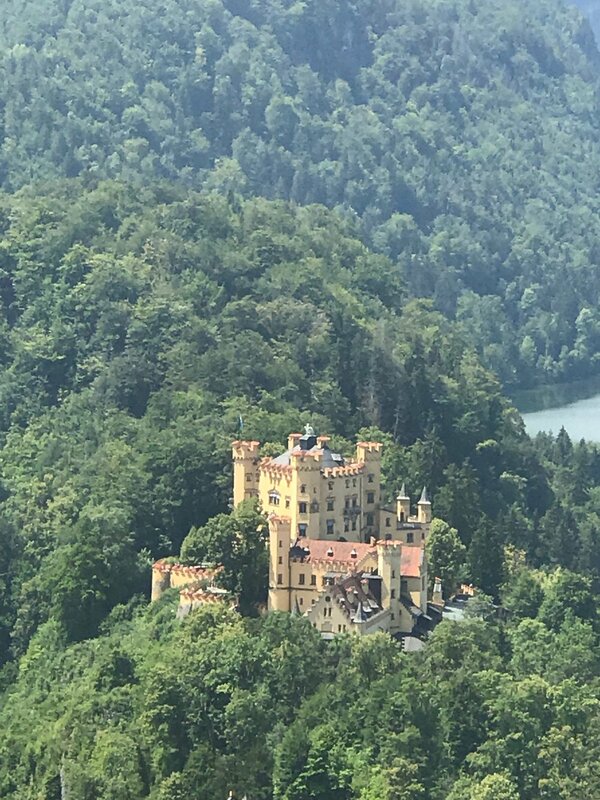 You can also see Hohenschwangau Castle, where King Ludwig II grew up. 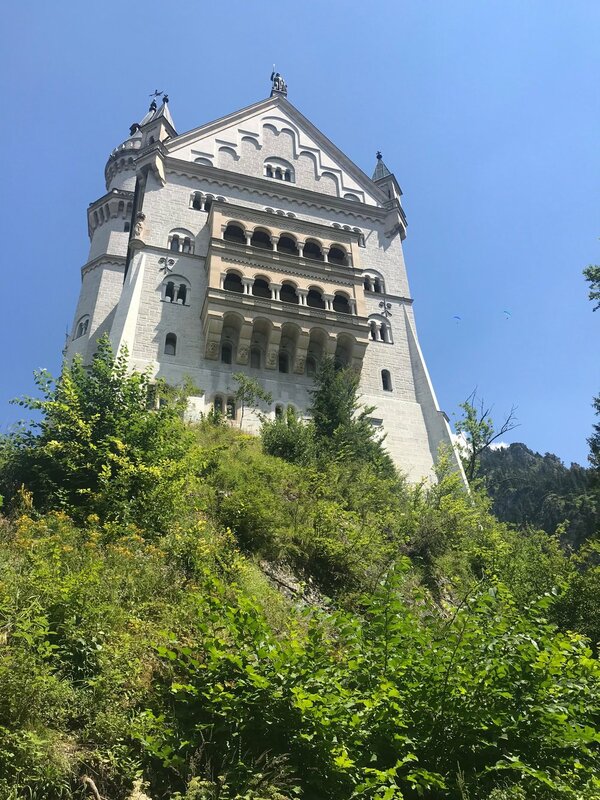 The road up to Neuschwanstein is not for the faint of heart. It is a pretty long, steep climb (approx. 30 minutes). There are horse carriages that can take you up part way, but to be honest, the horses looked overworked and unhappy. Being the animal advocate that I am, I don't agree with tourism at the expense of any animal's well-being. Once you get up closer to the castle you realize how big it really is. The highest tower is 213 feet tall, but its perch on the hill creates an illusion of a much taller building. We walked up further, past the castle to a bridge over a canyon called Marienbrucke. If you are afraid of heights this probably isn't for you. I was a bit nervous because there were so many people on the bridge and the wooden boards were bending with the weight. However, if you can stomach it, the views are spectacular! 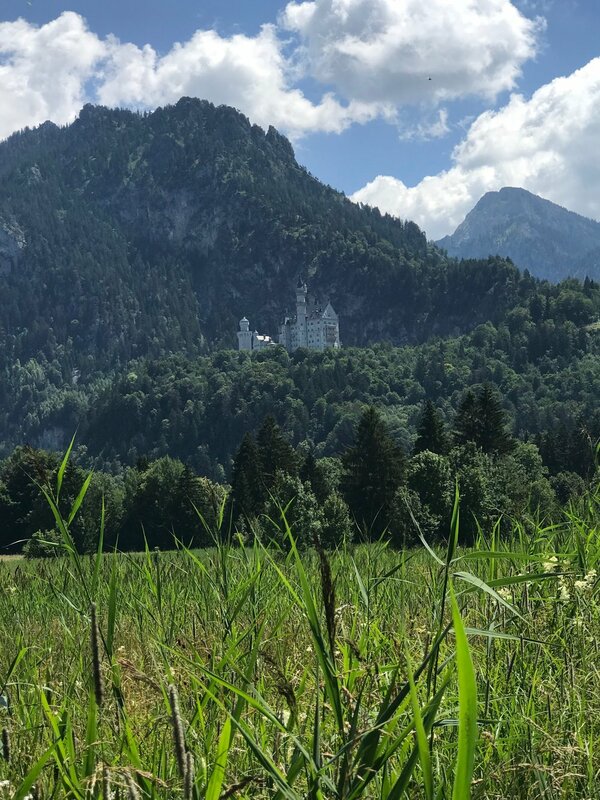 The views out over the alps and area surrounding Neuschwanstein Castle are breathtaking. If you want to go past the bridge for more views you can. There is also a cable car that runs nearby where you can get another vantage point. 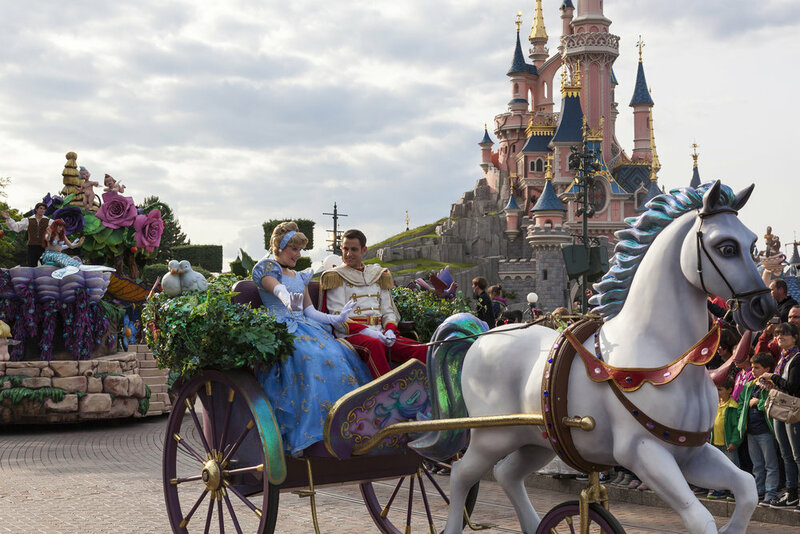 Can you imagine seeing this fairlytale castle in person? I have friends and family who have experienced this magnificent structure as children and adults and for everyone it has left a lasting impression on them. Are you ready to make your childhood dreams come true? Or perhaps you are looking for a unique trip and experience for your children and family? I can help you make your dream a reality. Click here! It is certainly an experience I will never forget, etched in my memories forever. Maybe you have heard the phrase "Pure Michigan", it is our state department of tourism's tagline. Summer in Michigan is truly beautiful. There are so many things to consider when packing for a trip, length of the trip, climate, who is traveling, itinerary, luggage and even the resort or destination requirements. Inquiring minds want to know, so here are my top 5 packing tips. Imagine an all-inclusive resort in French Polynesia that is secluded, luxurious, in harmony with it's natural surroundings and provides the ultimate, authentic, travel experience. The Brando is the perfect choice for your honeymoon, familymoon or romantic escape. Are you curious about the best travel fashion tips? In this blog I will be sharing tips from some of the best travel fashion sources. Here are 5 types of travelers who will be better off not booking with me. Is a destination wedding calling your name? If you have decided that you would like a romantic rendezvous in paradise for your wedding, here are 5 top things to consider when planning your dream destination wedding. 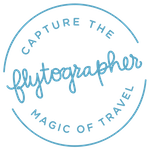 Ready to Avoid Long Immigration Lines AND Have TSA Pre-check for Your Honeymoon or Destination Wedding? Many couples travel out of the US for their honeymoon or destination wedding. If you have ever traveled out of the country you’ve undoubtedly had the near-universal experience of enduring a long TSA security line or an immigration/customs line upon re-entry to your home country. Every wedding is unique and special. Ours was no exception. Would you be surprised to learn that 1:4 weddings today are destination weddings?